21 Day Fix Meal Plan Explained. This post may contain affiliate links, view my disclosure policy here. I don’t generally blog “diets” (I actually have NEVER blogged about a diet here) however I’ve been following the 21 Day Fix plan to kick off the new year on the right foot. I’ve had a lot of friends ask me about it, how it works and what I’m eating so I decided to include a little bit of information here for those of you asking! While the 21 Day Fix is a weight loss program, I absolutely love it for healthier eating choices and learning about portion control. Even if you aren’t looking to lose weight it’s a great way to incorporate healthier options into your life! Note that I am not a BeachBody coach and I am not associated with BeachBody in any way. This is my own interpretation of the 21 Day Fix and I am not being compensated to write about the 21 Day Fix. 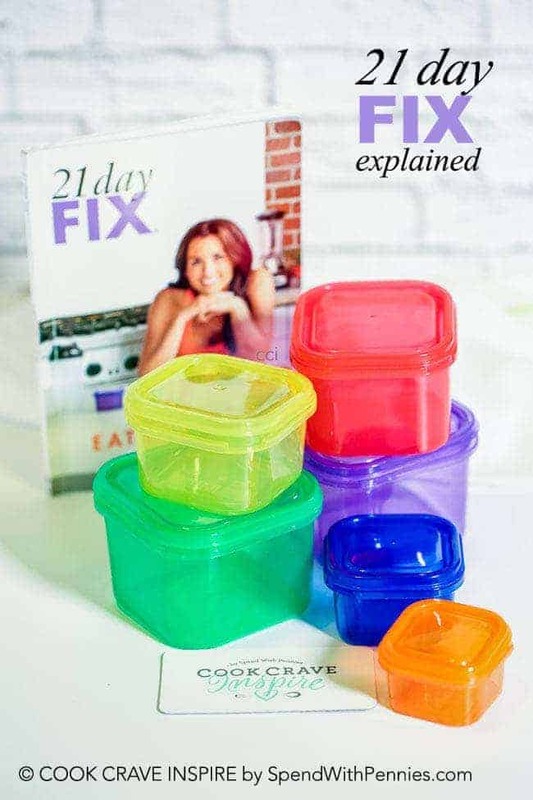 What is the 21 Day Fix Meal Plan? If you’re online much there’s a good chance you’ve heard of the 21 Day Fix meal plan… but what exactly is it and how does it work? The 21 day Fix, is a weight loss program based on healthy eating (of real food), portion control and exercise. Since it’s January, I have decided to kick off the new year with healthy eating and I loved the premise of the 21 Day Fix meal plan! No gimmicks, no packaged food, no tricks or quick fixes. Real food and exercise and we all know that’s the best way to stay healthy! The book explains everything and after about 2 days it should be really easy to know what to eat! I will be posting a sample 1 week menu to help those of you that are new to the program. 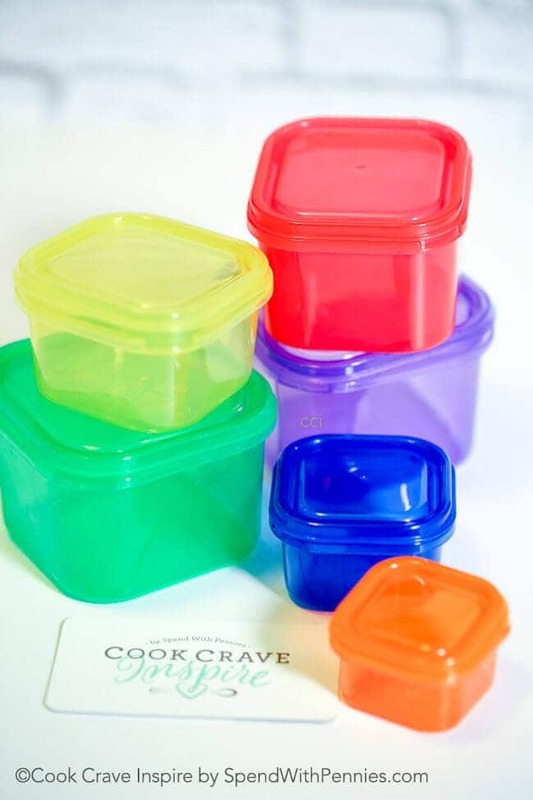 Each colored container you have in your package is a portion for a specific type of food. That means I can fill my green container up with vegetables 3x/day and my purple container up with fruit 2x/day. You can eat each portion whenever you like but I usually mix them up throughout the day and feel like it’s a ton of food. Let’s keep it real, being totally restricted (especially at first) is really hard. The great news is that the the 21 Day Fix meal plan DOES allow for treats and sweets 3x per week! I’m not someone who eats a ton of sweets but I do love to have a glass of wine. Three times a week you can enjoy a small glass of wine AND three times per week you can indulge in a little bit of chocolate or even a few potato chips according to the book. To me this is important. Not only because it’s hard to give these things up but to sustain a healthy lifestyle, you need a little bit of reality and if you told me I could NEVER have wine… well that kind of plan wouldn’t work for me. You will receive a DVD in your package and on it are daily exercises. The great thing is that it’s only 30 minutes per day and you can do them at home. They are easy to follow and well explained plus each exercise has a modification for beginners and a modification to make it more challenging if your fitness level is more advanced. It’s only 30 minutes per day and really, don’t let this scare you away. They’re designed for everyone at every level and everyone has to start somewhere! You can find more 21 Day Fix Posts & recipes here! (This is a new category on the blog so keep checking back for new posts and recipes weekly). If you have any questions regarding the program or foods on the program, please feel free to leave them below and I will do my best to answer them! In a few weeks I will be sharing my full and honest experience. I have NOT been paid for this post nor have I been given any free product or information to post about the 21 Day Fix. This is just my own interpretation. I give this program a thumbs up for learning proper portion control and exploring healthy options. Online Deals Tips and Great Ideas!